Snuggle Time Prayers, written by Glenys Nellist and illustrated by Cee Biscoe, is a perfect bedtime collection of fifteen prayers for young children, intended to help them draw closer to God as they drift off to sleep. 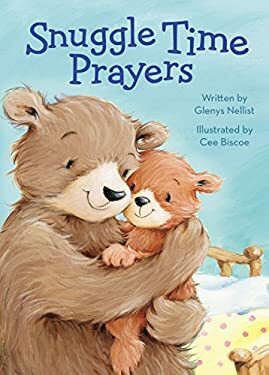 Snuggle Time Prayers, written by Glenys Nellist and illustrated by Cee Biscoe, is a perfect bedtime collection of fifteen prayers. This padded cover board book will help children settle down at bedtime and remind them of their blessings as they draw closer to God. New (49 available) BRAND NEW. Over 1.5 million happy customers. 100% money-back guarantee. Make your purchase count: support Better World Books' worldwide literacy partners.